Proancynol 2000 is a unique combination of good antioxidants that work together synergistically to help promote a healthy immune system. 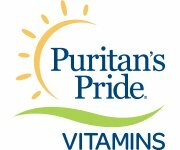 Our body naturally produces antioxidants like glutathione and superoxide dismutase. These good antioxidants help fight against free radicals in our system that are working to damage our healthy cells and promote diseases like cancer, rheumatoid arthritis, cataracts, strokes, heart attacks, and even Alzheimer's. Believe it or not, our body actually produces some of these free radicals itself. Our naturally occurring antioxidants work to keep these in check. 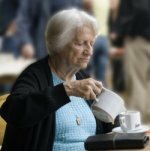 However, as we age, we produce fewer and fewer antioxidants naturally, and we have a continual bombardment of external free radicals to deal with from things like air pollutants, cigarette smoke, food additives and preservatives, fried and barbecued foods, bad fats, and even too much sunlight. To support your body's natural immune system and help fight free radicals, you may want to consider supplementing with helpful antioxidants. 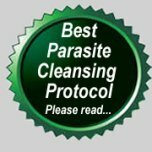 Let me tell you a little more about Proancynol 2000, and why I like it so much. Green Tea - One of the greatest health benefits of green tea are the polyphenols, which are part of the flavonoid family. Green tea also contains OPCs (oligomers of proanthocyanidins), which are also part of the flavonoid family and have been reported as being very helpful to your blood vessels. Rosemary - Rosemary extract contains carnosol and ursolic acid, which are known to improve the ability of enzymes to detoxify carcinogens (cancer causing agents). The rosemary herb is also known as having the ability to relax smooth muscles and help prevent plaque build up in the arteries. Grape Seed - Grape seeds are another great source of the antioxidants OPCs. One of the benefits of grape seed extract is its ability to help counter the effect of mutagens (mutating genes that promote chronic degenerative diseases). But, one of the benefits I think us ladies like the best is the fact that these OPCs in grape seed improve the elasticity and collagen in our skin, helping to reduce wrinkles and external signs of aging. Okay, so it's a little vain, but very nice to know! N-acetylcysteine - NAC (N-acetylcysteine) isn't very well known, but it's a very strong antioxidant that has been used for several decades, particularly to help break up mucus, especially in lung tissue, and to counteract the effects of acetaminophen poisoning. NAC has a very positive effect on toxic chemical and drug reactions. Clinical trials in Europe have indicated that NACmay also offer protection against the flu and flu-like symptoms. This is particularly interesting in light of the fears many people have over the "swine flu" virus and other pending influenza strains that we may face. Alpha-lipoic Acid - Alpha-lipoic acid used to be considered a vitamin. Now it is classed as an antioxidant, and for good reason. Alpha-lipoic acid can scavenge free radicals intracellularly and extracellularly. It is both fat- and water-soluble,which means that it can access all parts of our cells. Beat that! Alpha-lipoic acid is also said to benefit our body by moderating blood sugar concentrations and improving symptoms of cardiovascular ailments, blurred vision, and liver complication. It was even used in combination with vitamin E to help children who were exposed to the radiation in the Chernobyl incident to normalize organ function. Lycopene - Lycopene, most popularly found in tomatoes (gives them that lovely red color) is from the carotenoid family. Lycopene puts up an excellent fight against free radicals and has also been found to be a more potent inhibitor of human cancer cells than all other carotenoids. In fact, a study in Europe found that there was a positive link between high dietary lycopene and a 48 percent reduction in the risk of cardiac disease. Lycopene is definitely a good antioxidant you want on your side (more specifically, on your 'inside'). Selenium - Selenium is actually a mineral antioxidant. Like the other good antioxidants in Proancynol 2000, selenium helps to fight those nasty free radicals. Not only that, selenium is helps to improve and increase your white blood cell count. I've been reading a lot lately in some of my various health newsletters of a significant link between the benefits of selenium in helping to prevent some cancers. If your selenium levels are low, you can pretty much be sure that your immune system is being compromised and is in a weakened condition. I don't know if you've ever read anything about Antioxidant Cycling, but I can assure you, it's confusing! To put it in a nutshell, each of the antioxidants need each other to help prevent them from becoming free radicals themselves, more or less. I suppose that's a bit simplistic, and someone will probably come along and correct me, but suffice it to say, the combination of powerful and good antioxidants found in Proancynol 2000 is for a reason. Each of the ingredients work together to provide your body with the maximum free radical protection. 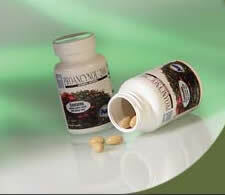 Take 2 capsules per day, preferably with meals. Do your immune system a favor. 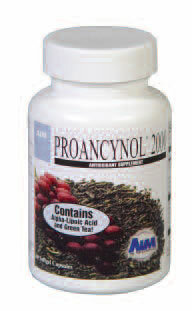 Start using Proancynol 2000 for immune support and to aid your body in the fight against free radicals. Order Proancynol Here To Get Started!